Sony has set its PlayStation Mobile store live, filled to bursting with bite-sized games for the PS Vita and most PlayStation Certified Android devices. Today, the service is coming to Japan, United States, Canada, United Kingdom, France, Germany, Italy, Spain, and Australia, with more to follow in the coming weeks. It's not playing host to your Call of Duty type epics; the PlayStation Mobile store is intended only for the casual gaming types. Unsurprisingly, then, it's populated with a number of games that conform to the adjective-animal naming construction, like Hungry Giraffe and Aqua Kitty. The games range from adventure to action to puzzle to sports, with pricing starting at 40p (US$0.80, around AU$0.80). All games support the on-screen controllers as well as the Vita and Xperia Play's physical buttons. The launch brings the store to most PlayStation Certified handsets but the HTC One V, S X and X+ are a little behind the times. A statement explains, "HTC mobile device owners cannot access PlayStationMobile for the moment. 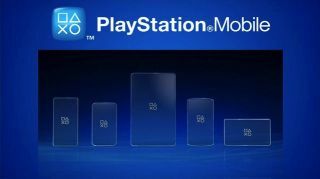 However, we are working with HTC to ensure PlayStation Mobile launches as soon as possible. We will update you soon."